Marvel once again extends their theatrical dominance through Avengers: Infinity War. 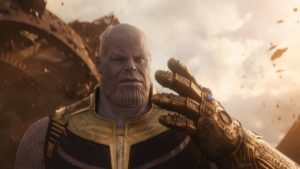 Contrasting other more universal marvel films, Infinity War embraces a darker more ominous tone. Renowned directors the Russo Brothers cleverly incorporates all characters relevant to the Marvel Cinematic Universe. Packed with action-filled battles, the movie ultimately introduces the main antagonist Thanos. Its brilliance cannot be neglected as the film offers critical details for those following the Marvel universe. Infinity War only intensifies our expectations for the final battle in soon-to-come Avengers: Endgame. Looking ahead, I cannot wait to see what will come for our beloved hard-labored Avengers. Freddie Mercury once again captures the stage in the motion picture, Bohemian Rhapsody. 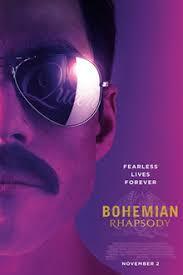 From the outset of the movie, the movie offers a thrilling portrayal of the legendary 70-80’s rock band, Queen. The costume design is incredibly constructed as each actor almost perfectly portrays their corresponding member of Queen. From his appearances to his authentic acting, Rami Malek’s Oscar-worthy performance brilliantly embodies the vibrant nature of Freddie Mercury. To say that the soundtrack is good is an understatement. Including acclaimed songs, such as “Bohemian Rhapsody,” “Somebody to Love,” and “We Are The Champions,” the soundtrack embellishes Queen’s title as titans in the rock industry. If you want to embrace the renowned story of Freddie Mercury and Queen, Bohemian Rhapsody is the movie to watch. Spider-Man: Into the Spider-verse is easily one of the best movies in 2018. To describe the movie in one word, it is simply captivating. 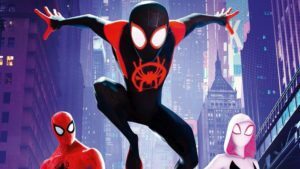 Unlike other more recent Marvel movies, Spider-Man: Into the Spider-verse has a distinct comic book feel, which presents a unique experience for the audience. From Stan Lee’s heart-warming cameo to each enthralling scene, the film is infused with both humor and emotion. Each voice-actor portrays their character brilliantly, expressing a genuine sense of humanity within the animated characters. Even the star-studded soundtrack is used flawlessly, embodying, the protagonist, Miles Morales’s emotions throughout the movie. Spider-man: Into the Spider-verse is truly an unforgetting motion picture and deserves to take its place as one of the best movies in 2018. 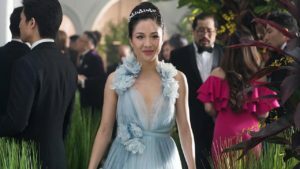 Crazy Rich Asians unquestionably embraces its role as the romantic comedy of the year. Incorporating many popular Asian actors, the movie truly does a wonderful job capturing the ideals of Asian culture. Not only is the movie funny, but it is also quite emotional as the audience can empathize with the protagonist Rachel Chu’s problems throughout her journey to Singapore. 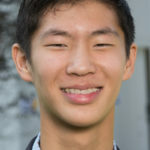 Based off the New York Times bestseller, Crazy Rich Asians, by Kevin Kwan, Director Jon M. Chu really does a wonderful job forming a fluid and captivating narrative. Like all rom-coms, the movie can be cheesy at times; however, if romantic comedies are your genre, Crazy Rich Asians is most certainly the movie for you. Where to begin with this movie. Green Book is an unforgetting experience for anyone who steps into the theater. Although the plot can be slightly predictable, the movie truly brings to life the 1960’s Jim-Crow era South. Lead actors, Mahershala Ali and Viggo Mortenson, do a wonderful job portraying their characters who possess charming chemistry on screen as their relationship develops throughout the movie. The soundtrack, although it does not consist of your typical pop-culture artists, plays well with the themes of the movie. Even with a limited budget, director Peter Farrelly does an incredible job recreating the racial tensions of the 1960’s. Disregard the cynical reviews, the movie will leave you with an enlightening sense of fulfillment. Unparalleled in its compassionate nature, Green Book is by far one of the most heartwarming and inspiring films of 2018. Hereditary is truly a psychological thriller. Quite different from other horror movies, this movie supersedes simple jump-scare-infused films. Masterfully crafted, it offers an almost disturbing take on an already horrifying plot. Each scene brilliantly connects to the others as the movie entices the audience from the outset. First-time director Ari Aster is ingenious in his use of plot twists and jumpscares; unpredictable and irregular, the film defies the boundaries of a “classic” horror movie. It quite literally forces the audience to grasp their seat handles and await each frightening scene one after the other. 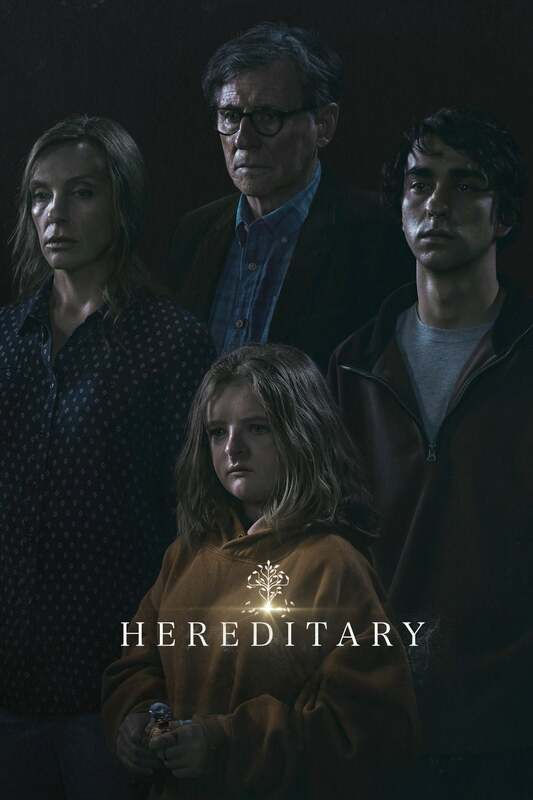 If horror movies are your thing, go watch Hereditary.